Tom, LA6VDA inform dxnews.com, that he will be active again from Svalbard Islands, IOTA EU - 026, 1 - 22 March 2017 as JW6VDA. QSL via LOTW, eQSL, ClubLog OQRS, qrz.com log. Svalbard. JW6VDA QSL. Total solar elcipse. Svalbard (Dutch: Spitzbergen) is Norwegian Islands in Arctic Ocean. Time- UTC +1 Summer time UTC +2. Administratively, Svalbard is not part of any Norwegian county. Svalbard are free economic zone and a demilitarized zone. Svalbard discovered by Scandinavians in 12 century. Svalbard National parks- Forlandet, Indre Wijdefjorden, Nordenskiold Land, Nordre Isfjorden Land, Nordvest- Spitsbergen, Sassen Buhsow Land, Sor Spitsbergen. Tourism is one of the main industry on Svalbard. Tourist agencies is offering interesting programs like Across Spitsbergen ski expedition, North Pole adventure and many others. Ham Radio callsigns/prefix - JW. International Amateur Radio Union WAC Award continent- Europe. CQ Magazine WAZ Award zone- CQ 40. 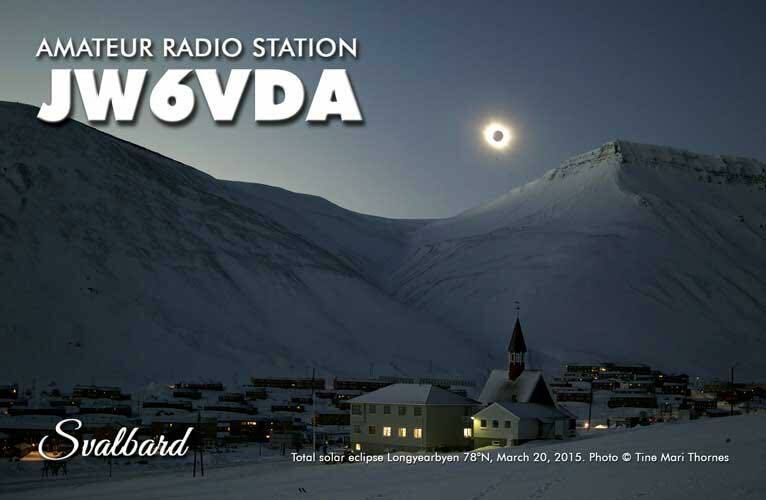 ARRL DXCC country- Svalbard JW. WAE ( Work All Europe) award country- Svalbard. Spitsbergen Island - IOTA EU-026 Svalbard archipelago. Spitsbergen coastal islands - IOTA EU-063 Svalbard archipelago. Svalbard is situated on an archipelago offthe coast of Norway and is far north of mainland Europe. 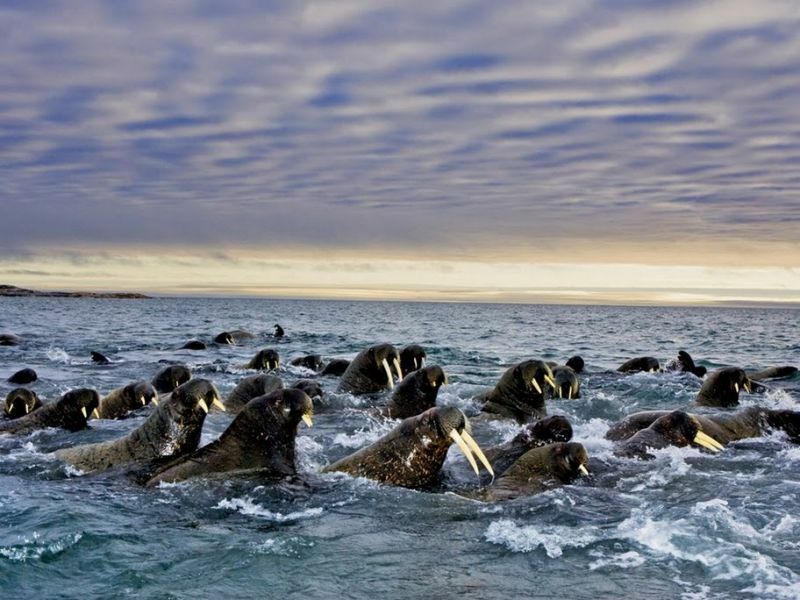 Situated between Norway and the North Pole, Svalbard is the largest of a group of nearby islands. As such, this is very much a winter-style setting ideal for those that love winter sports, but it also offers some summer activities for interested travelers. As expected, snowboarding, ice caving, and glacier hikingare some of the island’s exciting adventures. There are also fjords, kayaking, boating, and fossil hunting enjoy. But what about trying a dog sled ride or horseback riding along this rugged terrain? There is almost too much to do! For those who love a little bit of danger, a mine tour should be in the cards, where guides take visitors underground to show them how the mines areworked. Just to be clear, water sports and various other activities on offer are best done in the summer months – from June to September – and advance booking is recommended. Festivals in Svalbard occur several times each year. Everything from Polar Jazz to a Blues Festival takes place here from February to November, so choose carefully when you decide which time of year you want to visit! Longyearbyen is the first place where visitors will land. This is a cosmopolitan city with plenty to do. Wine bars and art galleries are among the most popular attractions and English is widely spoken. A mini-mall and grocery store stock everything that a weary traveler may need and is a good transition point into the country. New explorers should check out the museum and small graveyard or take photos of the two glaciers that can be seen from this location. Anyone who suffers from extreme wanderlust is warned not to venture out of town too far without a gun, because this is polar bear country! Visitors can take advantage of a day trip on an old steamer down the coastline. They also drop people off at the old mining town of Barentsburg for an hour,where they are encouraged to intermingle with Russian and Ukrainian miners that still send coal back to their home country. 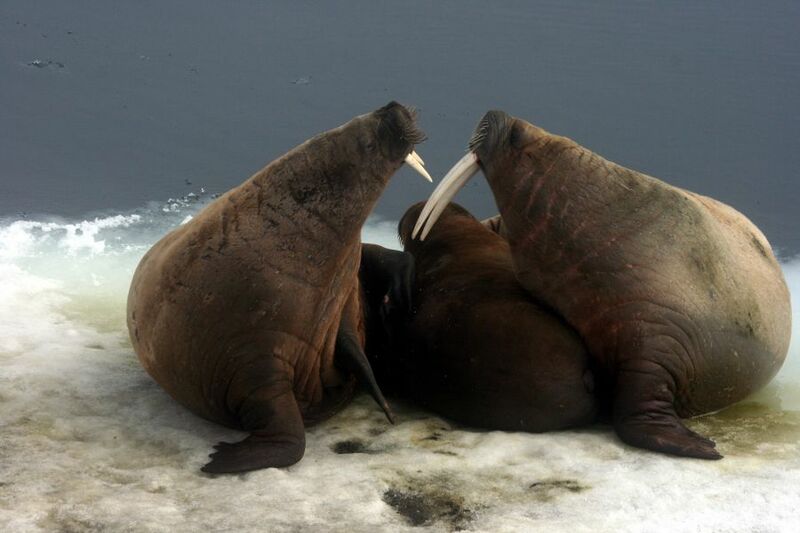 On the return trip, the boat stops in a bay where polar bears may be spotted, but most people are satisfied with watching the seals cavorting among the pack ice. One of the most popular activities in Svalbard is the two-hour dogsled trip that takes visitors up to a plateau some distance from Longyearbyen. Visitors can manage the sled on their own and it is an unforgettable way to experience life without a town in sight. The panoramic views of the mountains, snow, and glaciers gives the impression of being completely alone and is probably the most peaceful place that visitors have experienced in a long time. For those that fall in love with the dogsled trip in Svalbard, many return visitors come back just for that. Longer periods can be booked up to a week or more,which really allows a visitor to experience the tranquil, yet exciting, life out in the wild. It is certainly not for everyone, but the country is a haven for visitors looking for a vacation that can safely be called “the road less travelled”. Video Svalbard. 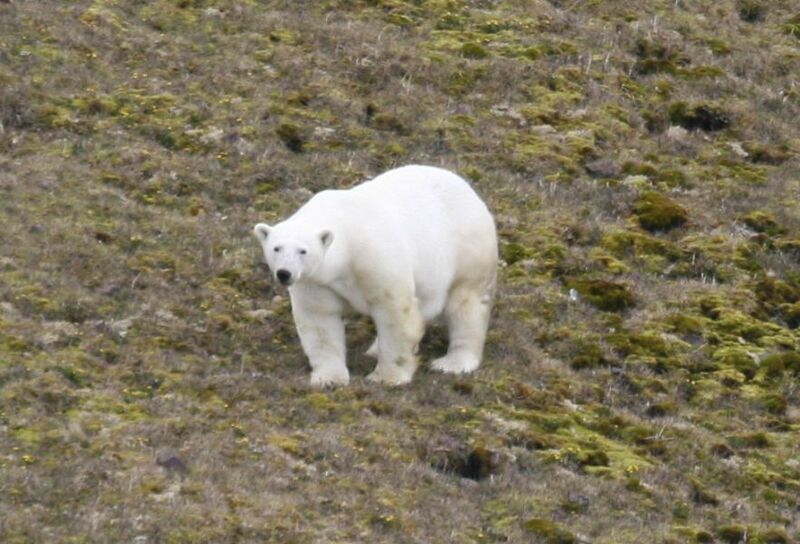 King of Arctic: Polar Bears. JW6VDA. Where is Svalbard located. Map.